Being a graffiti artist or simply someone who enjoys the occasional writing on the wall can be a lot of fun in today’s world. There are plenty of people who are extremely sensitive about loads of different things and a little bit of humor helps peg them back a few notches. 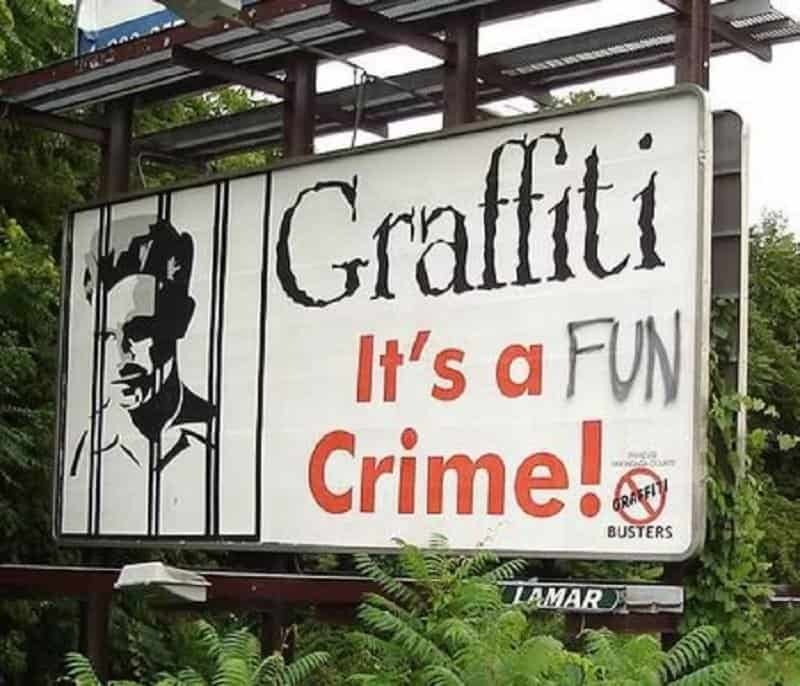 Although most cases of graffiti fall under the minor offense of vandalism, they can be pretty much harmless. 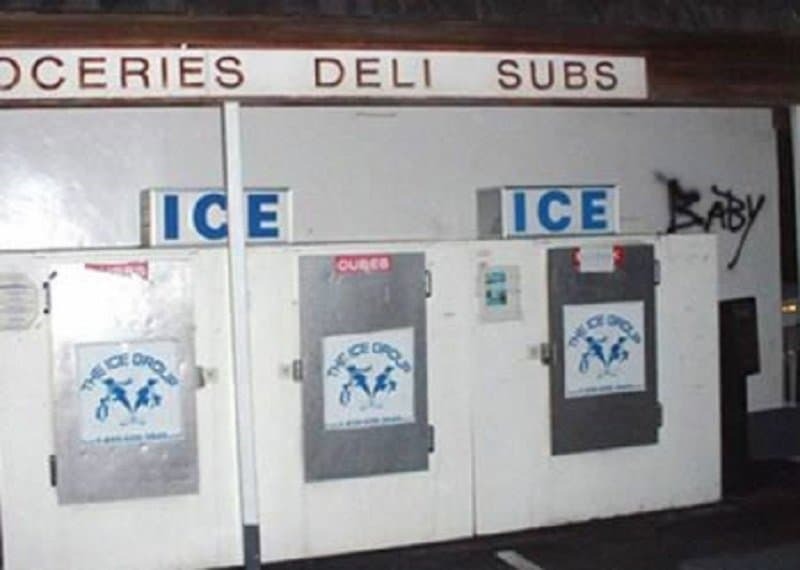 Here is a list of 10 cases of graffiti that are hilarious and are primarily focused on signs. Putting up graffiti on a board that demotes graffiti must be the ultimate satisfaction for a graffiti artist. 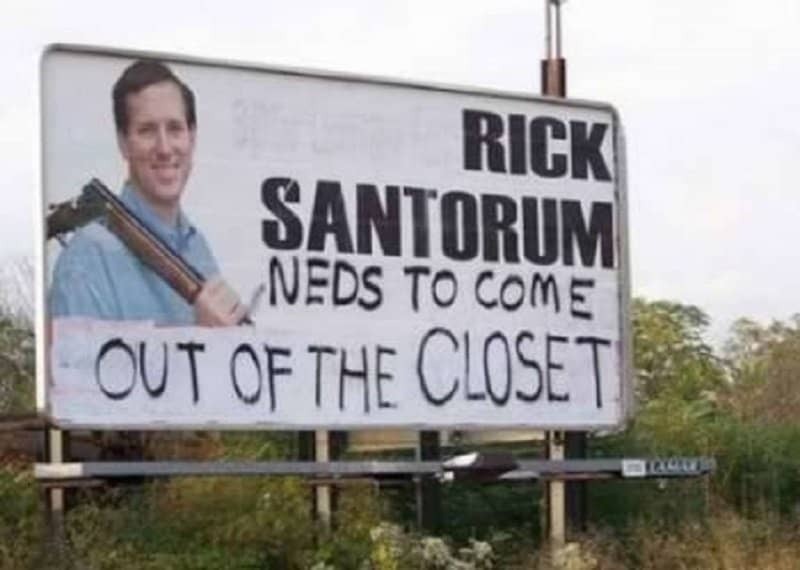 This person didn’t even go overboard with the message, just merely noted that a graffiti can be a fun crime. This one required quite a bit of improvisation. 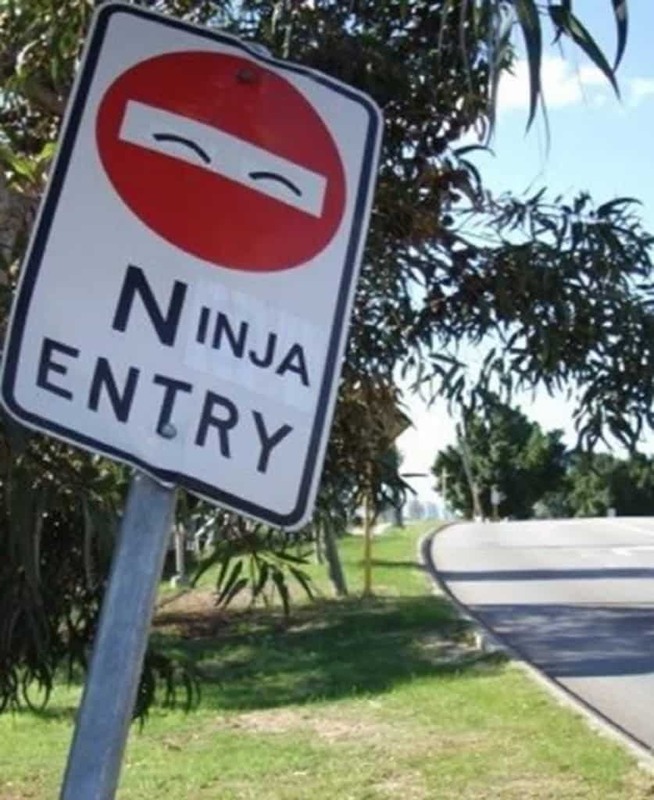 The graffiti artist took an ordinary no entry sign and transformed it into a hilarious ninja entry sign. No graffiti artist worth his salt can pass up the opportunity to tag the word ‘baby’ next to any two consecutive ice’s. 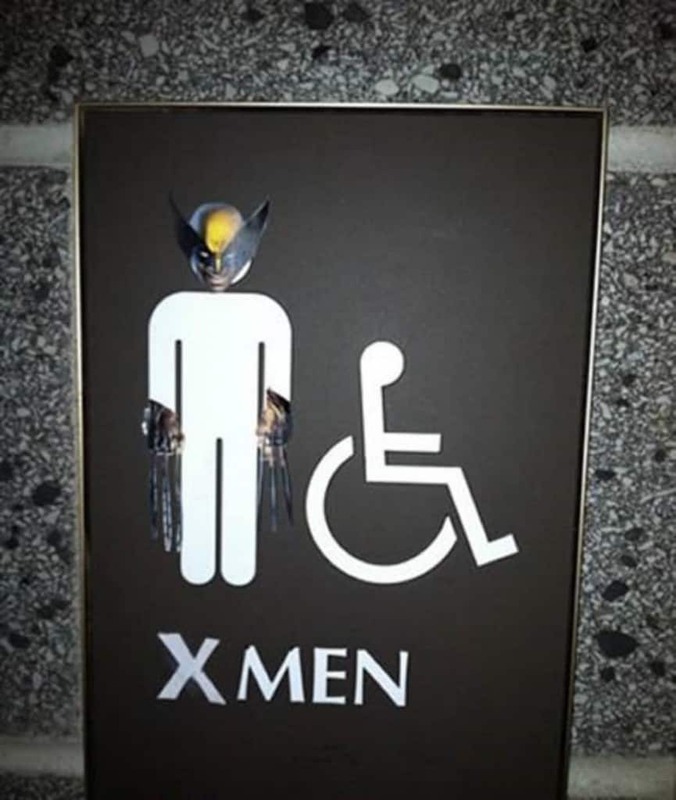 Nothing like Wolverine and Professor X to liven up a toilet stall. Any time you put your face up on a public billboard, it is important to understand that there will be people making fun of you. It is just a part of the whole deal. 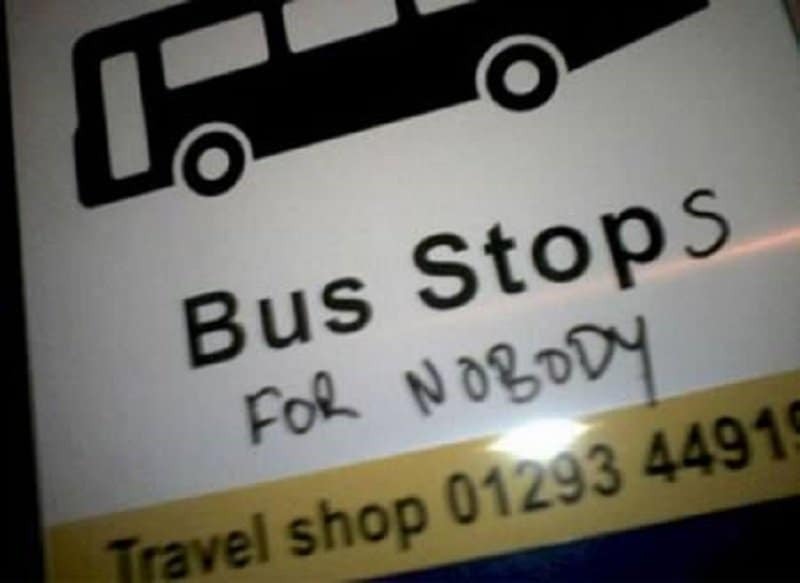 This bus doesn’t care who you are or where you need to go, it doesn’t stop for anyone. There is a lot of friction being generated between the cops and the general public. Any chance the public gets to even the odds, they take it with open arms. 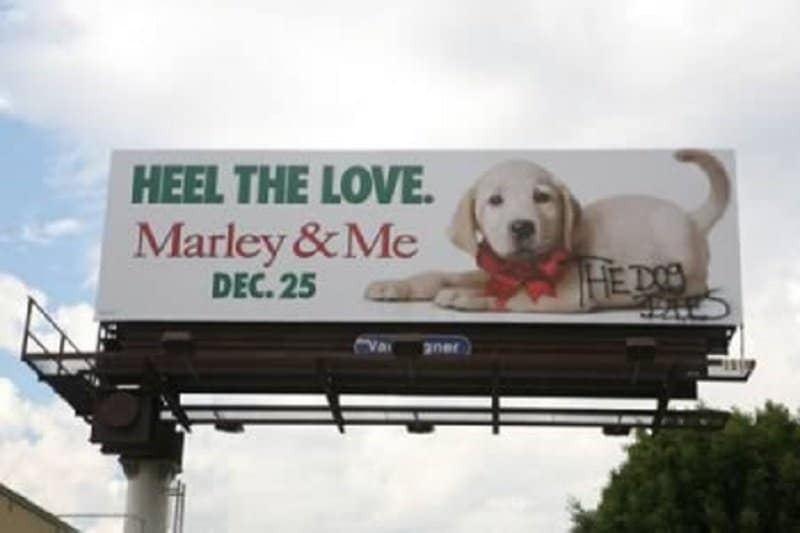 This graffiti artist decided to ruin the ending of ‘Marley and Me’ for everyone so that people don’t have to sit through the mediocre movie. That is some noble public service right there. 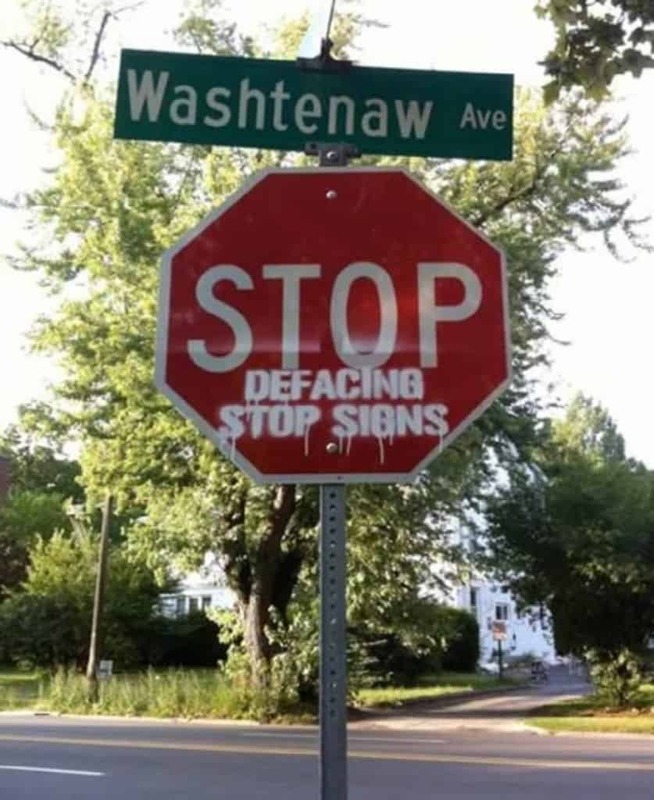 Asking people to stop defacing stop signs by defacing a stop signs is dripping with irony. 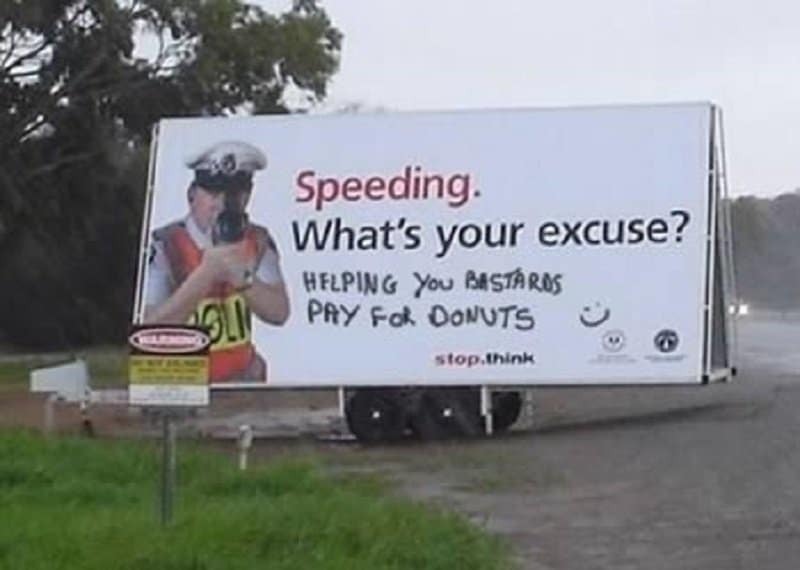 Why do the cops have to be so cruel? 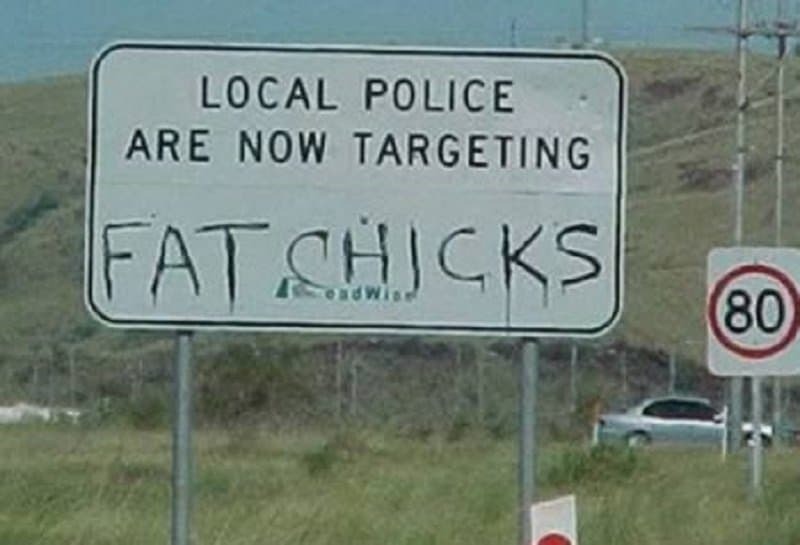 Can’t they leave the poor big-boned ladies alone?